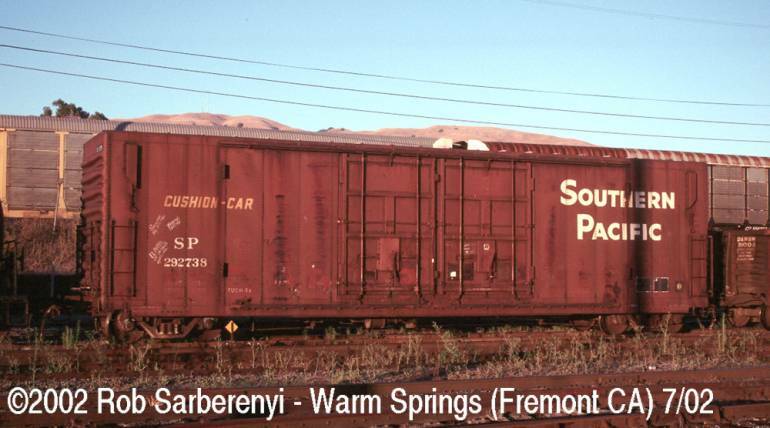 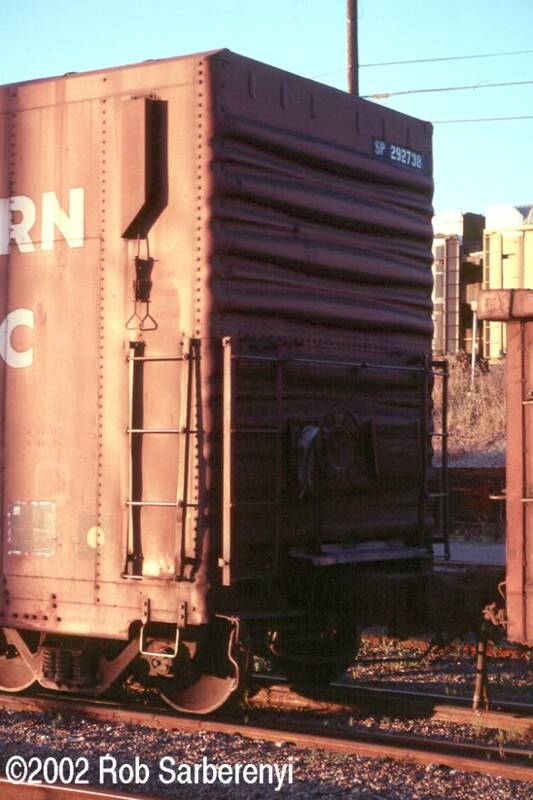 These 50'-6" box cars were built by PC&F in 1972 and featured 5116 ft3 capacity and 8'+8' Youngstown plug doors. 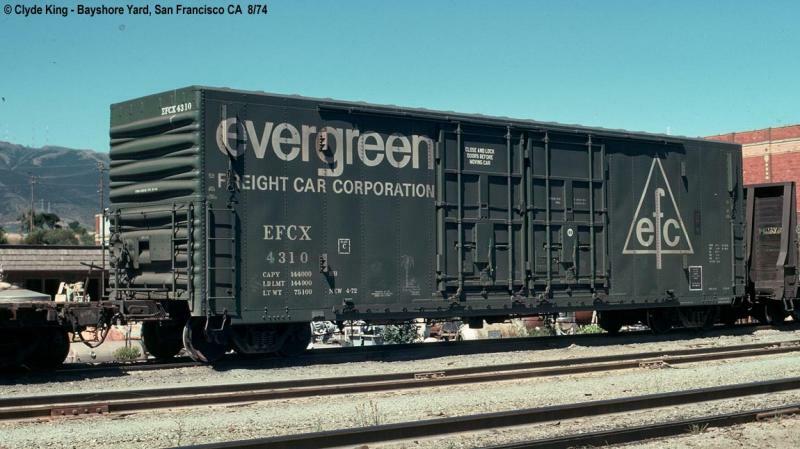 These cars were bought second hand from EFCX (Evergreen Freight Car Corp.) It is assumed that these cars were bought around the same time as similar cars bought around 1978-1979.Also, these cars have those funny looking boxy structures on the sides at each end with some kind of cable arrangement. 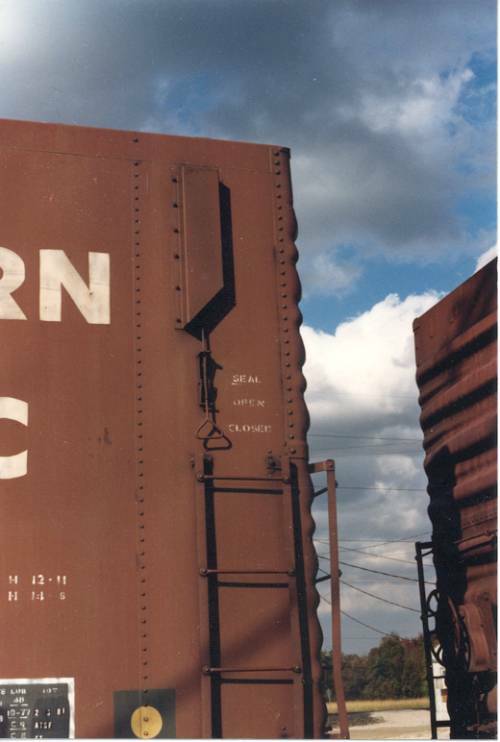 These are vents for paper pulp service. 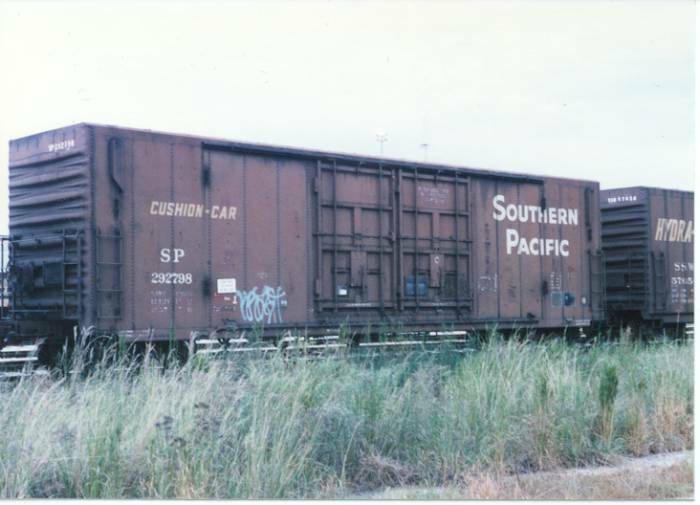 Thanks to Jim Eager for additional info on these cars.